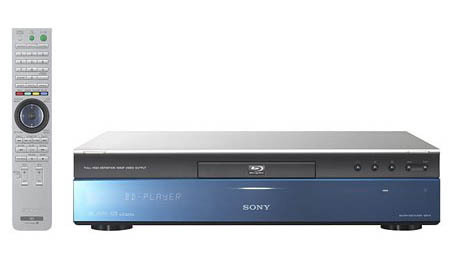 Data from the Japan Electronics and Information Technology Industries Association (JEITA) show some staggering increases in sales of Blu-ray players and recorders during May. Compared with one year previously, BD hardware sales have risen over 2,000 per cent to bring shipments of 82,000 machines in Japan. The tiny base of twelve months ago makes the percentage increase large, but the absolute figure compares well with DVD hardware sales of 336,000. In other sectors, digital audio player sales are still growing, with flash-based machines taking over 90 per cent of that market. Also, car sat-nav systems – particularly those with hard drives – are selling faster than last year. Back in the living room, LCD and plasma TVs are both on the up and showing increases of around 116 per cent on last year, however LCD outsold plasma by 573,000 to 78,000. As might be expected, CRT tellies and VCRs are on their last legs – they sold 16,000 and 11,000 units respectively in May. The only question is where on Earth are they being sold? We can’t find them anywhere.